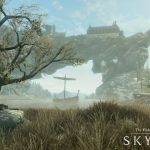 While we still don't know for sure when The Elder Scrolls V: Skyrim for Nintendo Switch is coming, at least you can give it another look thanks to a batch of screenshots. 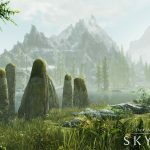 Following Bethesda’s press conference from E3 2017, the publisher released a batch of assets for the Nintendo Switch version of The Elder Scrolls V: Skyrim. First of all we get an official description, even if most of it probably will sound familiar to most. 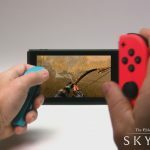 The press release included a list of bullet points too, which came with details about the amiibo tie-in with The Legend of Zelda franchise, on top of motion controls. 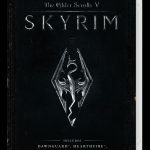 Epic Fantasy Reborn – Skyrim reimagines the open-world fantasy epic, pushing the gameplay and technology of a virtual world to new heights. 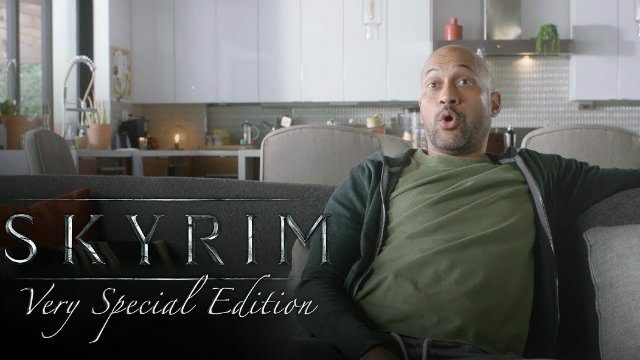 Live another life, in another world – Play any type of character you can imagine, and do whatever you want; the legendary freedom of choice, storytelling, and adventure of The Elder Scrolls is realized like never before. 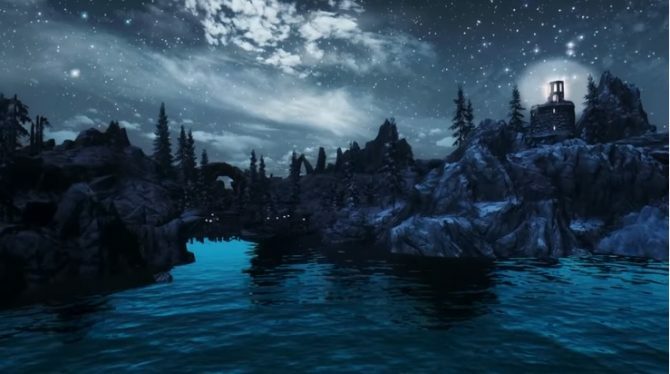 Stunning Graphics and Immersive Gameplay – Skyrim’s game engine brings to life a complete virtual world with rolling clouds, rugged mountains, bustling cities, lush fields, and ancient dungeons. 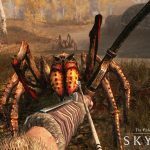 You Are What You Play – Choose from hundreds of weapons, spells, and abilities. 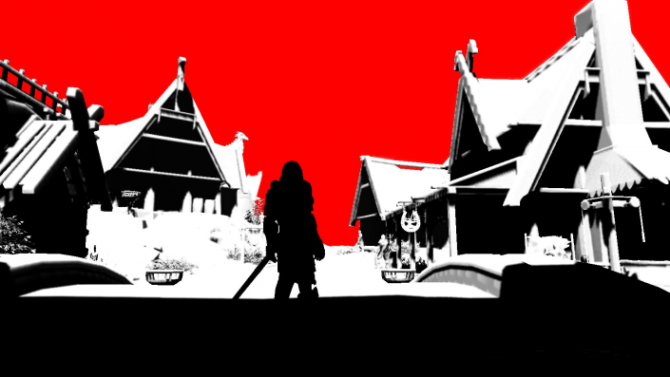 The character system allows you to play any way you want and define yourself through your actions. 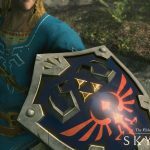 The Legend of Zelda Outfits and Weapons – Tap compatible The Legend of Zelda character amiibo to gain outfits and gear inspired by the series. 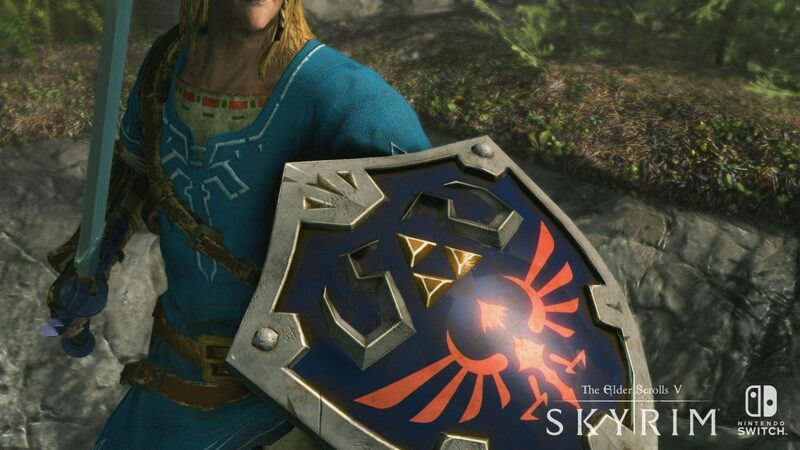 Take down enemies with the Master Sword, protect yourself with the Hylian shield, or look heroic in the Champion’s Tunic. Tap other compatible amiibo to gain additional loot. Compatible amiibo include those from The Legend of Zelda: Breath of the Wild series, 30th Anniversary – The Legend of Zelda series, Super Smash Bros. series, and The Legend of Zelda series. 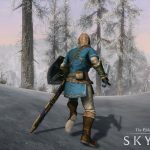 Motion Controls: Use all-new motion controls for combat and lockpicking – battle with melee weapons, aim your bow and arrow, and more. 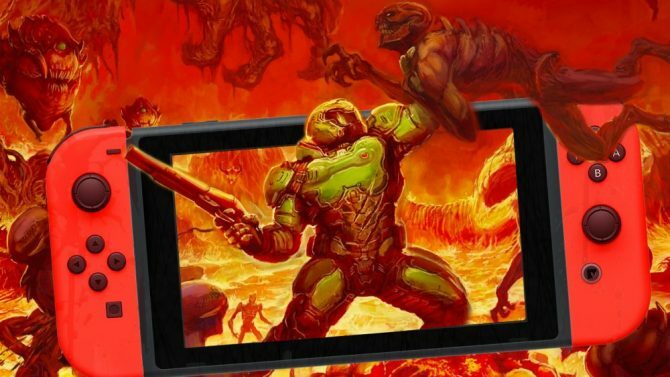 Last, but not least, we also get a batch of screenshots, and the box art of the Nintendo Switch version. 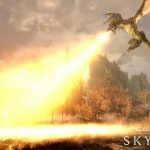 For the moment, the Nintendo Switch version of The Elder Scrolls V: Skyrim still doesn’t have a release date, and all we know is that it’ll come in the Holiday season 2017. If you want to see more, you can check out the trailer from the conference, and the original announcement, which included the first trailer as well.